Description: Beautiful spilt-level 2082 sq. 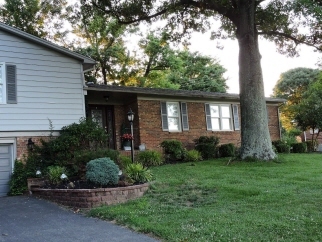 Ft home nestled in the quiet/peaceful subdivision of bourbon acres located in paris, ky. This move in ready home rests on 1.001 acres of beautifully landscaped grounds with an in-ground pool and two koi ponds. Just minutes from downtown paris and local supermarkets and 15 minutes to lexington, ky. 2010 sq. Ft of home includes master suite with private bathroom, 2nd/3rd bedrooms are located across from the 2nd full size bath room. From the main entrance the foyer opens to a warm welcoming entry way that has a 1/2 bath and hall closet. To the immediate right the formal living room opens to custom kitchen. The natural lighting, in this area, brings out the warm oak custom kitchen cabinets, black granite counter tops with stainless steel appliances (which all stay). Left of the kitchen opens to the formal dinning room and informal living room. Data believed correct but not guaranteed. Buyer to verify data prior to offer. Agents read agent remarks.